Sarah Cullen Fuller began her formal training at the Academy of Movement and Music in Oak Park, Illinois, under the direction of Stephanie Clemens. She continued her studies at the Boston and Joffrey Ballet schools before graduating from the University of Illinois at Urbana-Champaign with a BFA in Dance Performance. The recipient of the Lisa Carducci award for excellence in dance performance and the U of I Women's Club scholarship for academic excellence, Fuller continued her post graduate work as a Ford Foundation Fellow in Madrid, Spain. Upon graduation, Ms. Fuller studied with the Paul Taylor dance company before returning to dance with the Chicago-based company, the 58 Group, under Ginger Farley. 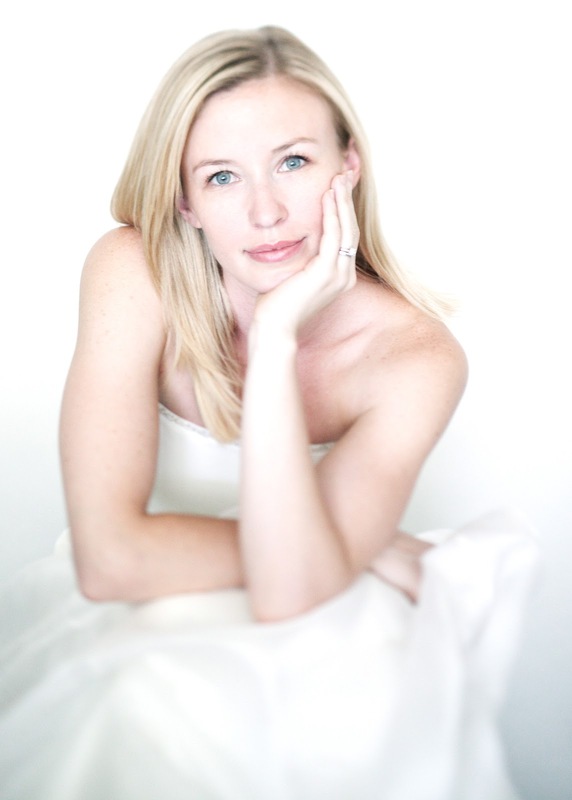 In 2001, Sarah joined Hubbard Street 2 under Julie Nakagawa, and was promoted to HSDC's main company soon after. Ms. Fuller has danced the works of such leading choreographers as Nacho Duato, Jiri Kylian, William Forsythe, Ohad Naharin, Lar Lubovitch, Susan Marshall, Marguerite Donlon, and Alex Ketley, among others. After her retirement from HSDC in 2008, Ms. Fuller returned to teaching at the Academy of Movement and Music, the Lou Conte Dance Studio, and Loyola University. Sarah is the founding teaching artist of the "Parkinson's Project" at HSDC, where she teaches contemporary and modern dance techniques to those living with Parkinson's disease. In 2011, Sarah set her choreography on the Cerqua Rivera Dance Company and in early 2012 traveled to Baton Rouge, Louisiana as an artist-in-residence for the contemporary dance company, Of Moving Colors. She has had the great pleasure of re-staging HSDC repertoire for HSDC scholarship students and for teaching company class for Luna Negra Dance Theater. Ms. Fuller has choreographed and danced in numerous works for both the Momenta Repertory Ensemble and for the Momenta dance company since her retirement from HSDC. Sarah is privileged to be on faculty at both the Academy of Movement and Music in Oak Park and Loyola University Chicago, where she teaches ballet, pointe, and contemporary dance techniques. I have two incredible boys. Levi is 2 1/2 and Ronan is 4 months. You were a longstanding member of Hubbard Street Dance Chicago. How much was becoming a mother a part of your decision to leave the company? It was THE reason I decided to leave. My time at HSDC was so incredible that people thought I was crazy to leave when I did. What they didn't know was that I was struggling to have a family. I had actually suffered two miscarriages while I was at HSDC and felt like in order to realize my dream of becoming a mom, I would need to give the same care and attention to having a family as I had to my career. I just wasn't one of those dancers who could do both. Be pregnant and dance, that is. It felt like a failure of sorts, and I'm still reconciling my frustration that I even had to make that choice. You are now doing a lot of work with Parkinson’s patients. Does this work play into your parenting philosophy? If so how? I learn so much from working with this population. Like any dance class, structure and consistency provide the framework or backbone for which one can depart from. I've found that in parenting it's important to have that routine, but to also allow for things to change and develop. I find myself having the greatest days when I allow the children to set the tone for the day. I try to find that in my work teaching dance, as well. In the end I feel like it's really about being okay with failure and allowing yourself to be vulnerable. Authenticity is something that I admire in those dancers who also deal with Parkinson's. There's a curiosity, a zest for continued growth amongst great obstacles, and for continuing to try new and challenging things. I hope to bring those same attributes to parenting two boys. Once a creative, always a creative. How do you satisfy your creative needs, especially while being a parent and running, or at least helping to run, a household? It's tricky, no? I satisfy that part of me by recognizing how incredibly important it is to give in to it, to make time for it. If it were up to me I would do every project and take every opportunity I could...but there's just not enough hours in the day for all of that now. For our family it means strategizing and finding space when there is none and coming to some sort of compromise. It's such a challenge, but I've been afforded opportunities that are close to home and that are really fulfilling! Something tells me that going back to create will be a little bit trickier now that I have two. . .I'm still in transition at the moment. Everyday. I miss the camraderie of ballet class. The funny things that happen in rehearsal or on stage. The smell of a theater. The long travel days and the amazing people you meet that become your dance family. I miss the freedom to fail. As an artist, I feel like I was really lucky to have those in a position of power that allowed me to take risks, to be vulnerable, to explore. I'm still figuring out how to do all of that as a parent without guilt or paranoia for how my kids will turn out! But I have to say that I've been very blessed to have the opportunity to return to the stage since having my children. It was a huge sacrifice for the family and I couldn't have done it without a ton of support from my husband, Brian, or my parents, but somehow we made it work for everyone's sanity (you might want to check with my hubby about that)! My family knows that I'm even more crazy when I don't have my dance fix and so they rallied to help me through rehearsals, performances, etc. Motherhood causes a dramatic reassessment of one’s body. For dancers, it’s not just about how it looks, but about its functionality. Can you speak about your how your feelings about your body have changed? I put on 70 pounds with both of my pregnancies! At the end of the day I've come to the conclusion that your body has a purpose beyond the aesthetic. Did it really take me two kids and a myriad of sizes to realize that?! I have my days where I wish things were a little higher here or tighter there, but all in all I've come to appreciate that I can even have children! That my body allowed me that gift. And in turn that I shouldn't give it such a hard time! I like being fit, but I am enjoying the curves! You have currently have two children under three, I believe. My children are 18 months apart and the first year I didn’t know my own name. How has the addition of another wonderful child been for you? Whenever someone asks me how I'm doing these days I always reply in the same way. . . It's something like "crazy, but great!" I don't sleep, I eat the food Levi has decided to throw at me while I'm nursing, and I'm lucky if I wash my hair, but it's really quite fantastic! I have the incredible fortune of living just three blocks from my parents, both of which have jobs with young children. My father is a retired pediatrician and my mother is an early childhood educator. Jackpot, right?! Even with all of that help I feel cuckoo! Balancing the needs of both of the kids and working is such a challenge for any family, and we are all in it together. I continue to fumble through parenthood, but at least I'm not fumbling alone! Surrounding myself with a support network of family and friends keeps me somewhat sane! These days it seems that even against one’s better judgment parents feel compelled to sign their kids up for a million activities. As a dancer who obviously found her “thing,” her calling, what is your stance on this? I think it depends on the kid. Levi has a voracious appetite for so many different things right now! He loves music, dance, art, sports, nature...it's one of my great pleasure in life-watching him inhale all that is new! He is currently in school a few days a week for a few hours and we have him signed up for a music class once a week. Once school started last fall we decided that if he wasn't feeling it or if he complained about going to anything, that we wouldn't go that day. So far that has really worked for our family, but he's still really young. We've found that open play environments have been the best bet for Levi-places he can explore and be free to move about a space without being confined to "doing the right thing." Of course we want him to follow directions, but we also feel that he has his whole life to be in those environments. Right now it's about discovery-for him and for us! What’s your best FML (f—k my life) mothering moment? Oh! There are so many! They always seem to center around transition times. Getting ready for school, trying to get out of the house, going to bed. . .There's nothing quite like two kids falling asleep in the car, one in the carrier, the other dead weight, walking up three flights of stairs to our condo (sweating profusely), tripping on some kind of train concoction, the baby crying when you put him down, he wakes up the toddler, they are both now screaming (still sweating), I'm leaking breast milk all over the place, the phone is ringing, the cats are crying for food, I have to pee, the house is a disaster...And this is not unusual! This is the new normal! Crazy!! What is your advice to women in dance who look at you and want to know how you do it? I only am able to "do" it because I seek support and support has been given. It doesn't always work and many times I'm left feeling like I'm not succeeding being a parent or a dancer. I've found great comfort in surrounding myself with fellow moms who are going through the same things. I've found that just like in dance when something doesn't work out as planned, the beauty lies in figuring out how to navigate around it, make it your own, and embracing what one may call a "mistake" or failure." I am so grateful to have been taught and mentored by Sarah during my four years at Loyola University Chicago. I have to say that she is as wonderful a teacher as she is a mother. Thank you for everything Sarah! You truly have an incredible ability to nurture and help young people to thrive. Thank you for adding further witness to Sarah's grace, talent and generosity of spirit. What a beautiful compliment to her as well. Mom's New Stage is so proud to have added Ms. Fuller to the roster of profiled Dance Moms (not to be confused with that God awful TV show! ).